Dupaco Credit Union - High or low deductible: Which is the right fit? When’s the last time you reviewed your auto insurance policy? Taking time to do so will help you know whether your coverage is still the best fit for your needs and budget. An important part of the process is determining your deductible. The deductible is the amount you’re responsible for paying if you’re in a collision and held liable for it. The premium is the amount you pay each month to have the insurance. Typically, the lower your deductible, the higher your premium will be. And the higher your deductible, the lower your premium will be. Consider these tips when navigating the right insurance deductible for you. Everyone’s situation is unique. 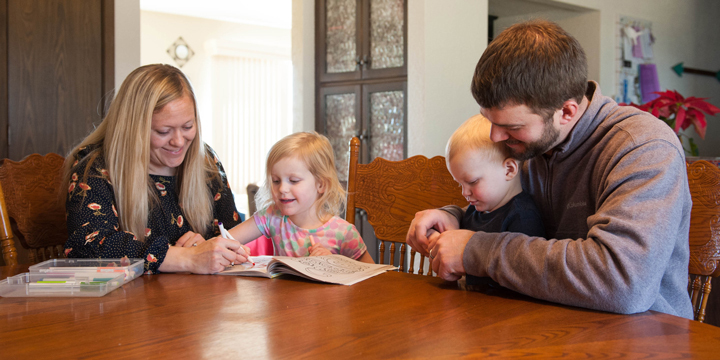 Your insurance agent can help you review your coverage, explore other options and play with the numbers to help you determine the best fit for you and your budget, says Brad Langan, insurance agent at Dupaco Insurance Services. Case in point: Langan recently heard about a driver who accidentally left his keys in his car. The car was stolen, and the driver’s insurance won’t cover the claim. The fine print states an exception for leaving the keys in the vehicle. “That’s why you want to make sure you get a good policy,” Langan says. first. How financially sound are you? In other words: If you’re involved in an accident, can you afford to pay a high deductible? Another calculation you should make: How much would you save—or not save—by going with a higher deductible. Option A: $100 comprehensive deductible with a $200 annual premium. Option B: $500 comprehensive deductible with a $150 annual premium. You would save $50 per year in annual premiums with Option B ($200-$150=$50), but you would be exposed to a $400 difference in your deductible ($500-$100=$400). If you go with Option B and end up hitting a deer, it would take you eight years ($400/$50=8 years) to recoup the savings from the lower premium. A general rule of thumb: If it takes you more than three years to recoup your savings, you might be better off with the lower deductible. Consider how much your vehicle is worth (Kelley Blue Book can help you determine this) when deciding your coverage and deductible. Here’s why this matters: If your vehicle is no longer worth a lot, a high deductible probably doesn’t make sense. Your vehicle’s value is likely close to the amount you would have to pay to repair it. Your risk for filing a claim also comes into play. If you’re at a higher risk to make a claim—you drive during busy traffic times, etc.—you might be better off with a lower deductible. But if you have a “colorful” driving history, making your premiums more expensive, a higher deductible might be the more affordable option. Your agent can help you break down the numbers. There’s more to consider than just your deductible and premium, though. Does your policy cover towing? What about auto rental? If you only have one vehicle, and it becomes disabled in an accident, having the option to rent a vehicle at no cost to you can be priceless. “There are certain things within an auto policy that you’ll want to have,” Langan says. Whichever deductible you choose, consider saving for the just-in-case expense with Dupaco’s You Name It Savings accounts. You can automatically and systematically set aside money for your deductible (and premiums) so the money is there when you need it.